Home » Is the Steele Dossier Full of ‘Russian Dirt’ – or British? SoWith text messages between US Justice Department (DOJ) conspirators Peter Strzok and his adulterous main squeeze Lisa Page now revealing that then-President Barack Obama “wants to know everything we’re doing,” it now appears that the 2016 plot to subvert the rule of law and corrupt the US organs of state security for political purposes reached the very pinnacle of power. To call the United States today a “banana republic” increasingly may be seen as a gratuitous insult to the friendly spider-infested nations to our south. Finally, while it’s clear the dossier served to get a FISA warrant for American services to spy on the Trump campaign and later the transition team, US agencies’ might not have been the only eyes and ears monitoring them. Amid all the hubbub over Michael Wolff’s slash-and-burn Fire and Fury, little mention (other than a heated denial on the floor of the House of Commons, from the notoriously truth-challenged former prime minister Tony Blair, and from the relevant British agency itself!) 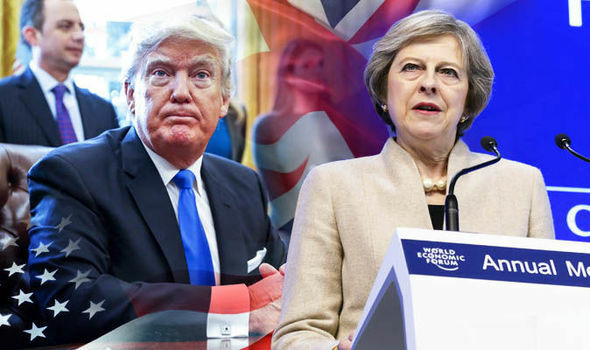 has been made of the suggestion that the UK’s Government Communications Headquarters (GCHQ) – Britain’s version of the NSA – was spying on Trump and providing their sister agencies in the US with additional data. Keep in mind the carefully worded deflection last year from James Clapper, former Director of National Intelligence (DNI), that “there was no wiretap against Trump Tower during the campaign conducted by any part of the national intelligence community... including the FBI,” thus begging the question of whether Trump was spied on not by a US “national” agency but by one of the Anglosphere “Five Eyes” agencies – most likely GCHQ – which then passed the information back to their American colleagues. With Steele’s and Wood’s involvement, and given the virtual control of America’s manifestly corrupted agencies of their counterparts in satellite countries like the United Kingdom, involvement by GCHQ and perhaps other “friendly” foreign agencies cannot be dismissed out of hand.